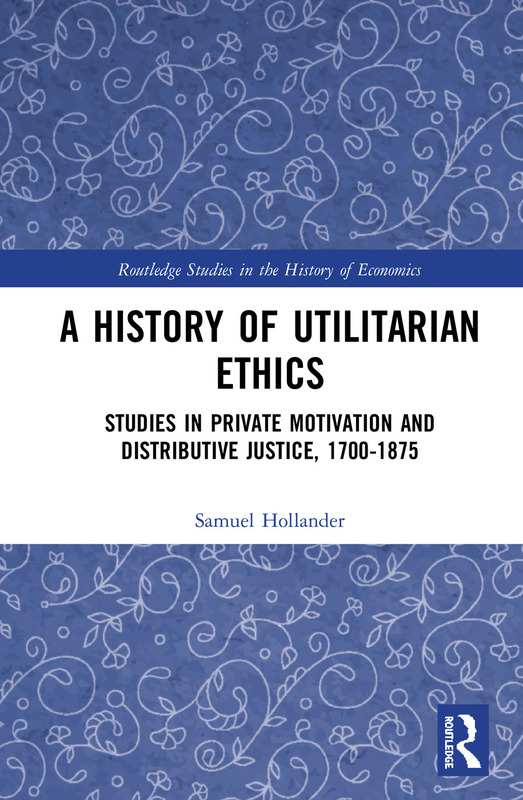 In this landmark volume, Samuel Hollander presents a fresh and compelling history of moral philosophy from Locke to John Stuart Mill, showing that a ‘moral sense’ can actually be considered compatible with utilitarianism. The book also explores the link between utilitarianism and distributive justice. Hollander engages in close textual exegesis of the works relating to individual authors, while never losing sight of the intellectual relationships between them. Tying together the greatest of the British moral philosophers, this volume reveals an unexpected unity of eighteenth and nineteenth century ethical doctrine at both the individual and social level. Essential reading for advanced students and researchers of the history of economic thought, political economy, history of ethics, history of political thought and intellectual history. Samuel Hollander is University Professor Emeritus at the University of Toronto, Canada, and is currently affiliated with the Department of Economics at Ben-Gurion University, Israel.